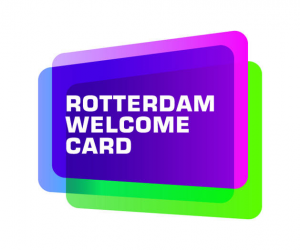 The Rotterdam Welcome Card makes travelling on public transport hassle-free. This chip-card provides one, two or three consecutive days of unlimited travel and is valid on all of Rotterdam’s RET bus, tram and metro-lines. And it also gives you more than 25% discount for museums and attractions, restaurants and other places of entertainment. You may be familiar with the Oyster Card in London , or the EZ-link card in Singapore , well the Rotterdam Welcome Card is the same idea. And is really easy to order and use. You can buy the Welcome Card upfront here from the comfort of your own home. Choose whether you want to receive your ticket voucher by email, SMS or in the Tiqets app. Activate the Welcome Card on your first day of consecutive travel by either checking in on RET public transport or visiting one of the participating attractions or sites. As with any public transport card used in the Netherlands, you need to remember to always check in and out, even if you are in transfer! How many hours is the Rotterdam Welcome Card valid for? A one-day pass allows you to travel on that same day until 4 am at night. A two-day pass allows you to travel on the day the card is activated and the next day. A three-day pass allows you to travel on the day the card is activated and the following two days. Please note that the card does not have 24-hour validity. In other words, a one-day card is not a travel pass for 24 hours, so you can’t travel from 2 pm on Day 1 until 2 pm the next day. A two-day card is not a travel pass for 48 hours and a three-day card is not a travel pass for 72 hours. What other discounts does the Rotterdam Travel Card give me? Purchase you Rotterdam Welcome Card here.